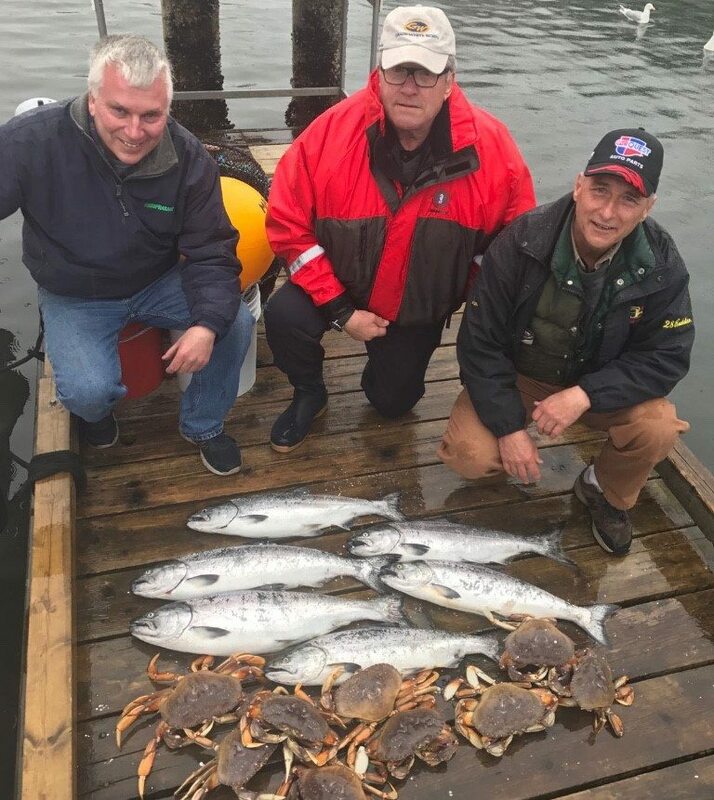 Our guests back at the dock with their catch after some productive trips with Captain Jason this week. Fishing has been nothing short of exceptional this past week with good numbers of chinook being taken in pretty much every spot I can think of. 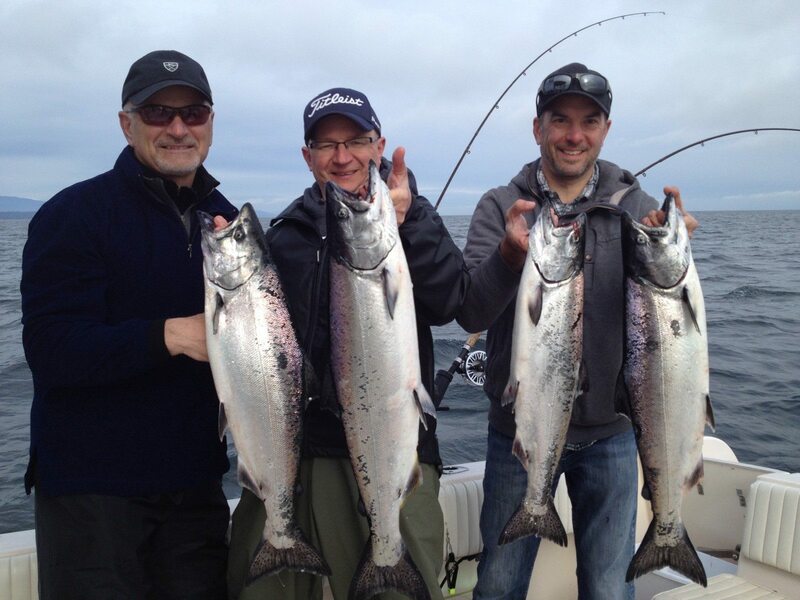 There are now chinook off South Bowen from Roger Curtis to Cowan both inshore and offshore, from the Bell to the QA, out on the Hump and off Gabriola and Nanaimo. The when and where is simply a factor on how much time you have and how windy it is and perhaps the size of your boat. Either way, the results have often been the same with great catches being the norm, not the exception. How long will this hot fishing last? 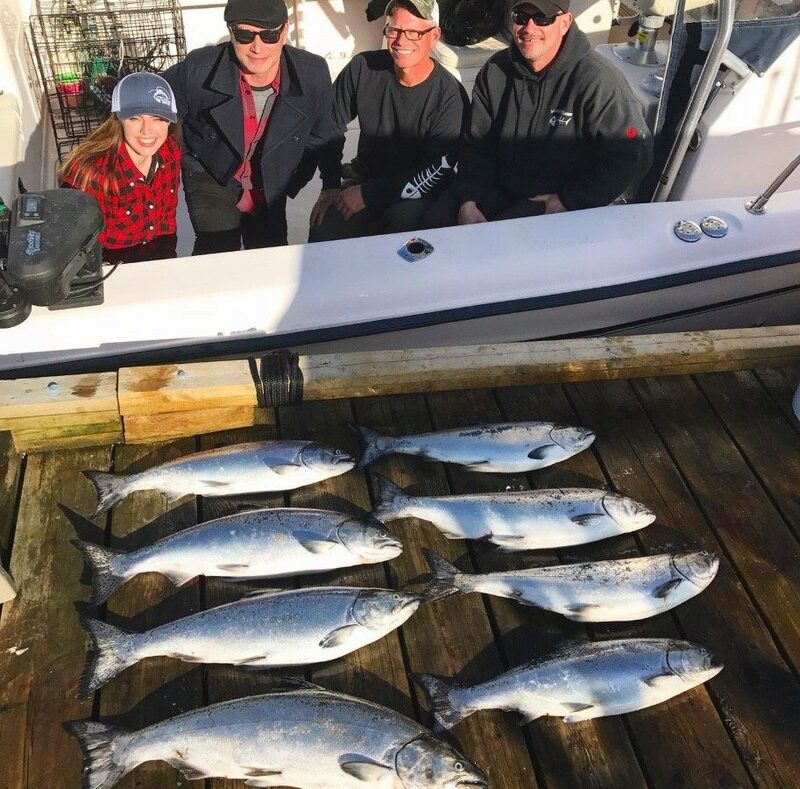 That is hard to say, but there is still a lot of time left in this “spring time” chinook fishery, which often sees fairly consistent fishing until mid June. Just like we have been anticipating, some larger fish are now starting to show up and we have seen some fish in the high teens and low twenties. 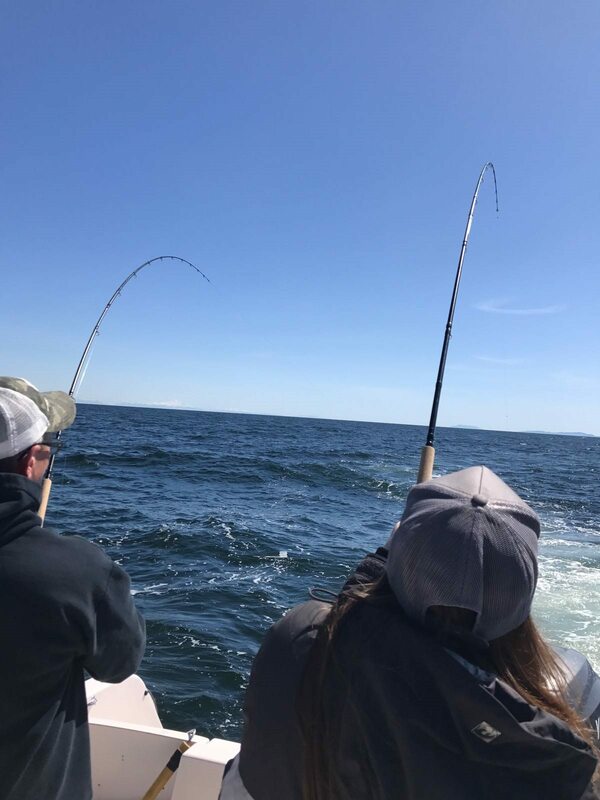 The average fish are in the 8-12 pound range but I know some more big fish are on the way and that trend will continue all through May. In terms of what is working and how deep, that really depends on the colour of the water. Locally the water is pretty dirty from algae blooms or Fraser River water and in general this means the fish are relatively shallow with 60-120 being good on the riggers. Brighter flashers and spoons have been working well like chartreuse glow, and green glow, green onion glow, and Salty Dawg. Irish Cream, Homeland, and Kitchen Sink have been good spoons in 3.5 and 4.0. On the other side of the pond the water is a lot cleaner and sometimes you can see your flasher down as deep as 45 feet. The same gear just mentioned will work but definitely fish deeper, from 130-200 and another spoon that seems to be hot over there is the Pink Sink. Splatter back hootchies in green, chartreuse and blue are also producing well. Crabbing has been good and so has prawning, so if you have the time we recommend dropping traps.